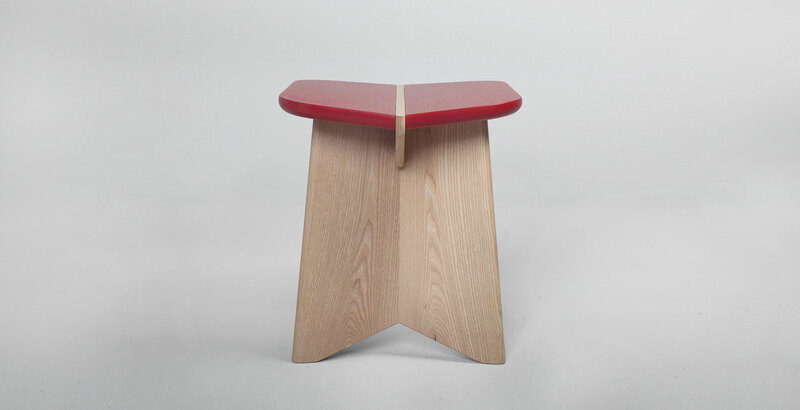 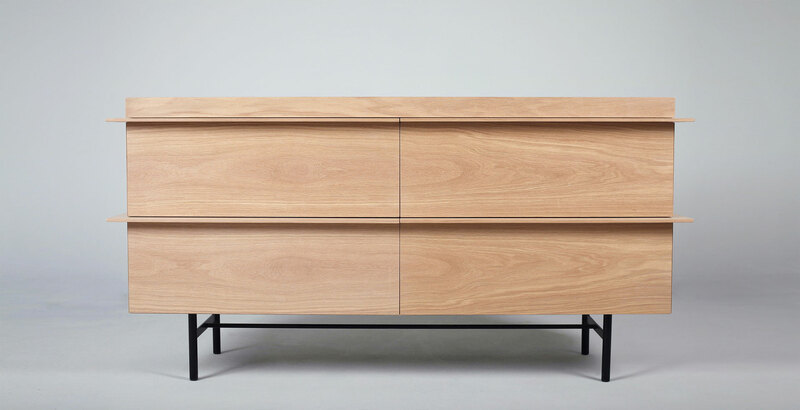 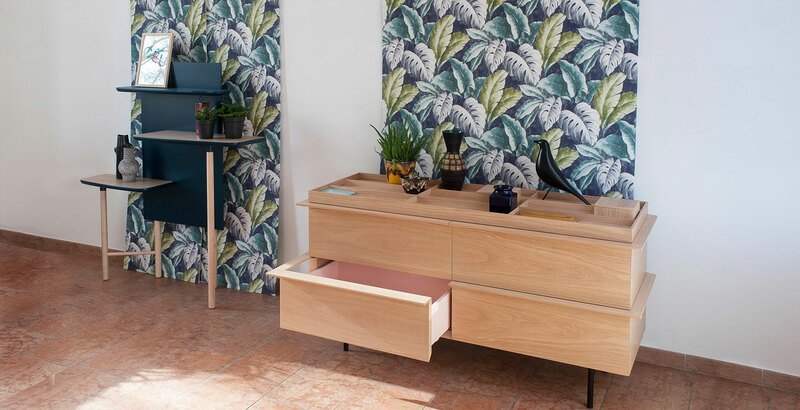 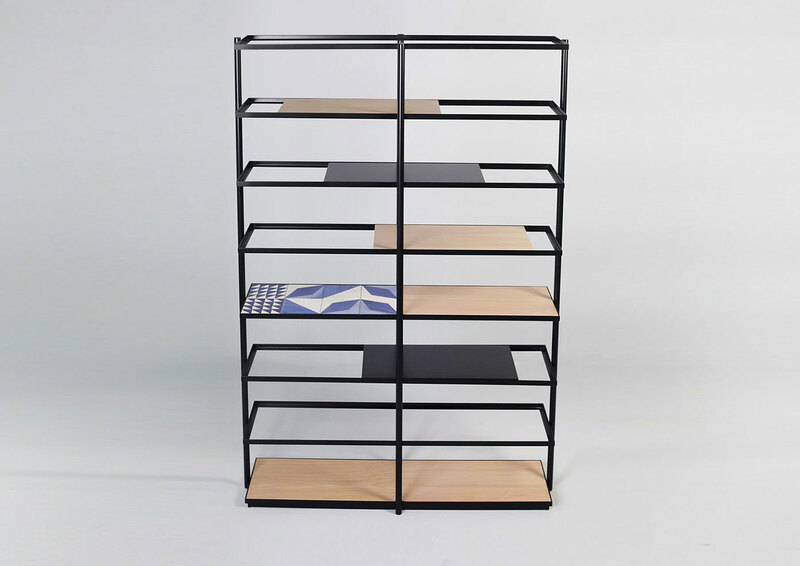 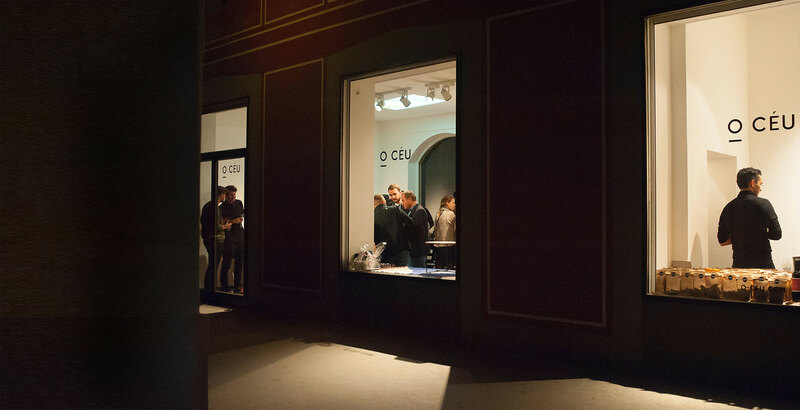 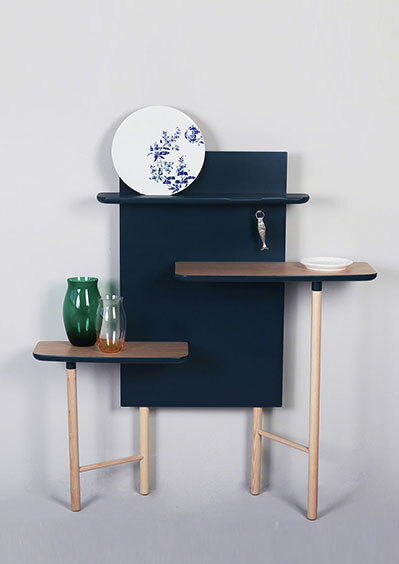 O CÉU is a new furniture brand, founded by the Portuguese manufacturer GUAL and the German designer MATTHIAS LEHNER. 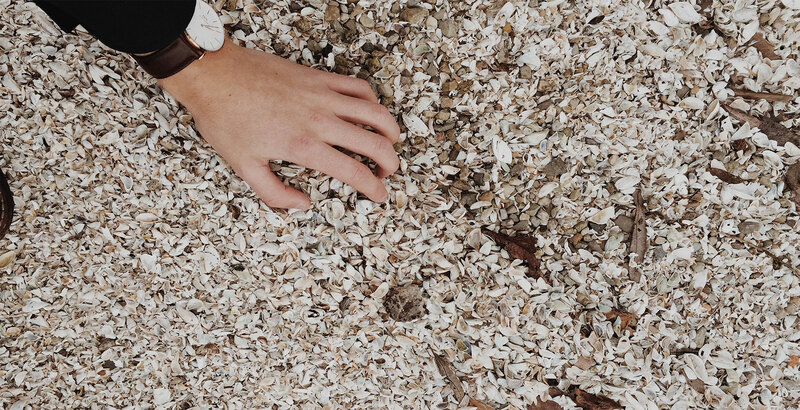 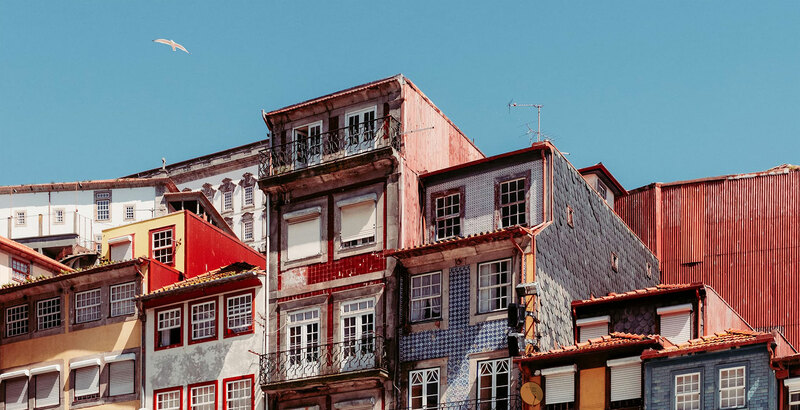 Every piece comes with a story, which is inspired by the cultural heritage of Portugal. 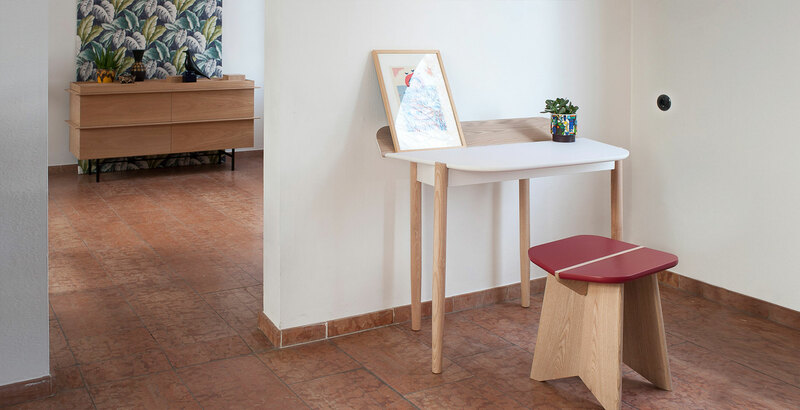 The minimalistic design language is combined with typical intarsia works, patterns and tiles. 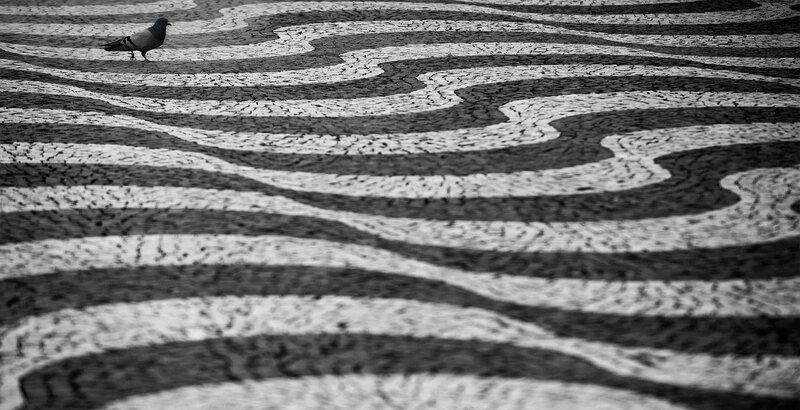 O CÉU is Portuguese for "the SKY". 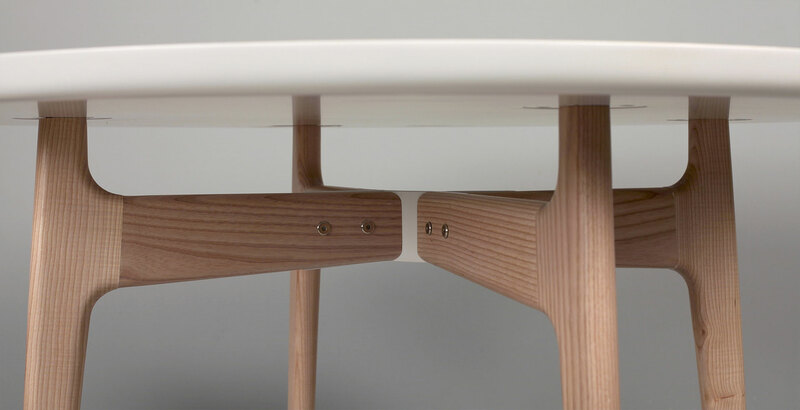 It's seen as a kind of metaphor for the unlimited variety of the possibilities existing to create the products. 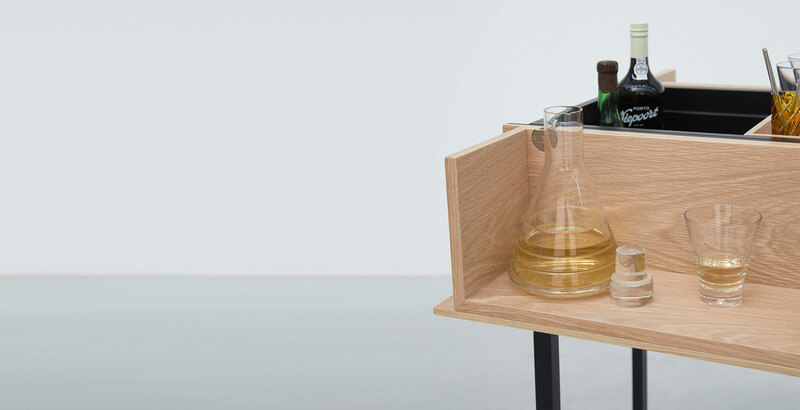 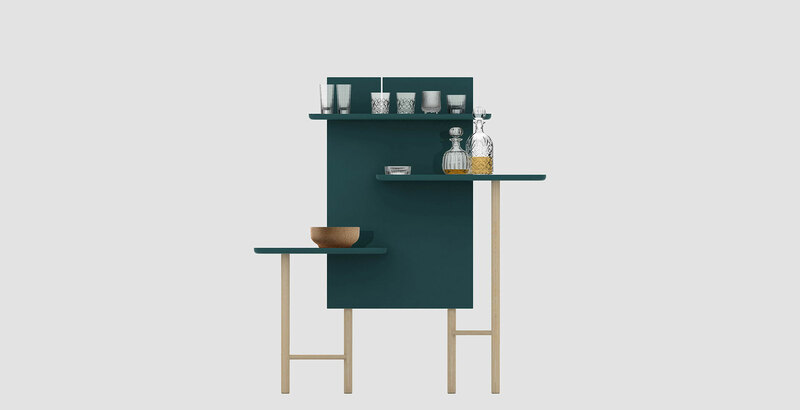 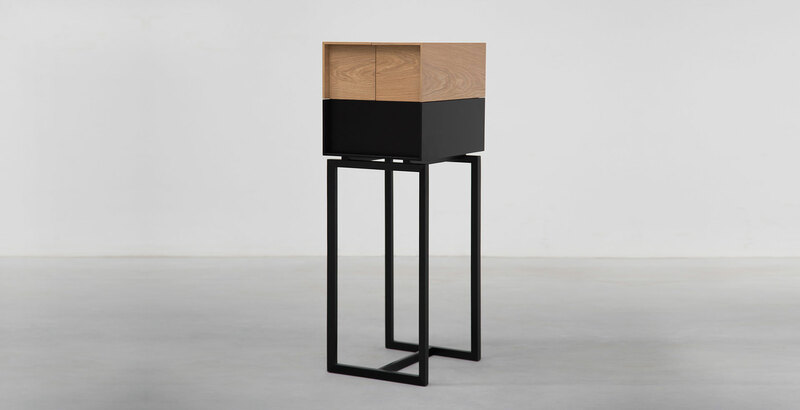 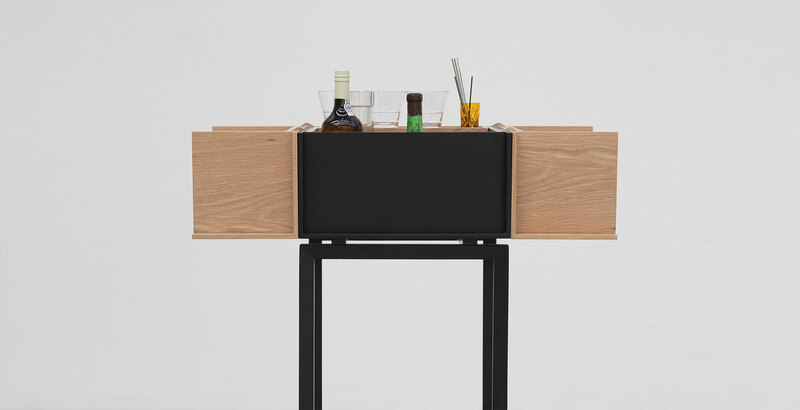 DOURO is a modern bar cabinet with two opening flaps. 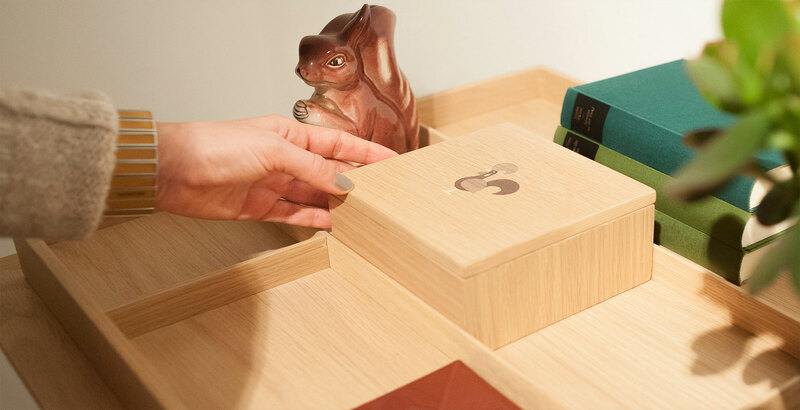 The plain wooden box takes care of all the treasures you love. 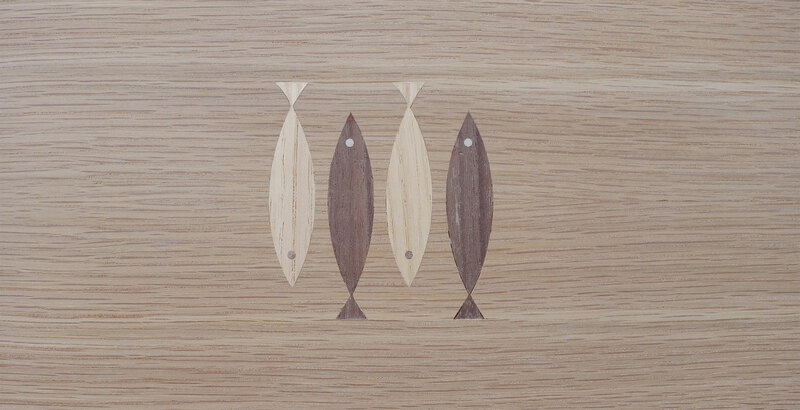 It’s available in oak or walnut, in combination with black or white colour finishing. 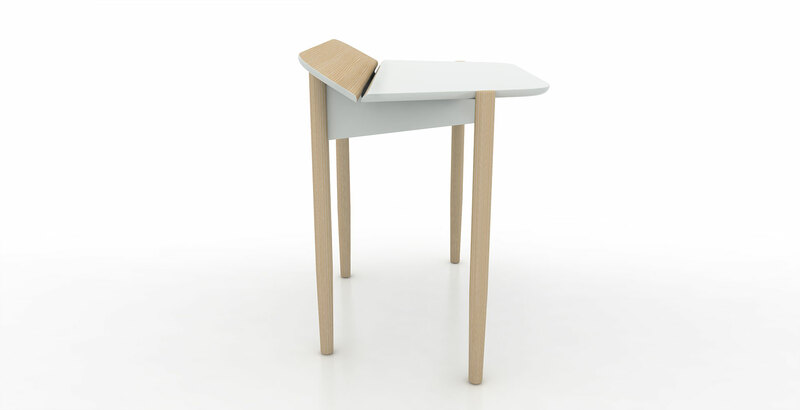 Additionally equipped with a removable tray, leather inlay and skilfully applied intarsia works. 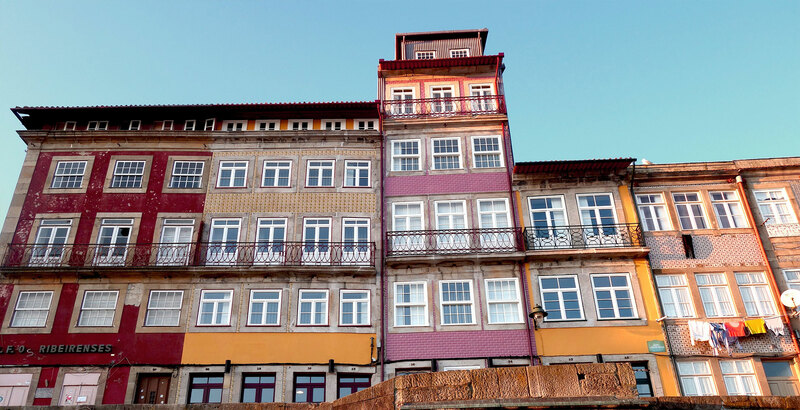 The name of the bar is a tribute to the cultural iconic Port Wine, which is exclusively produced in the vineyards along the river of the Douro Valley. 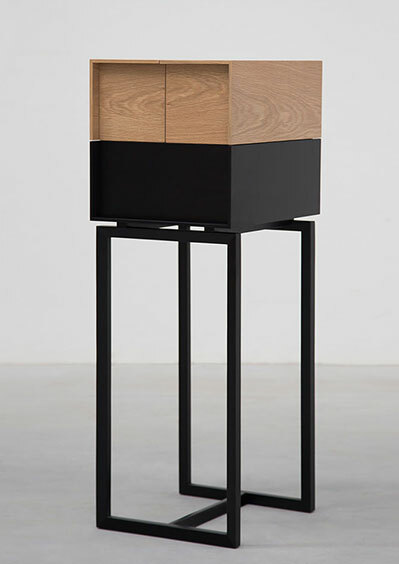 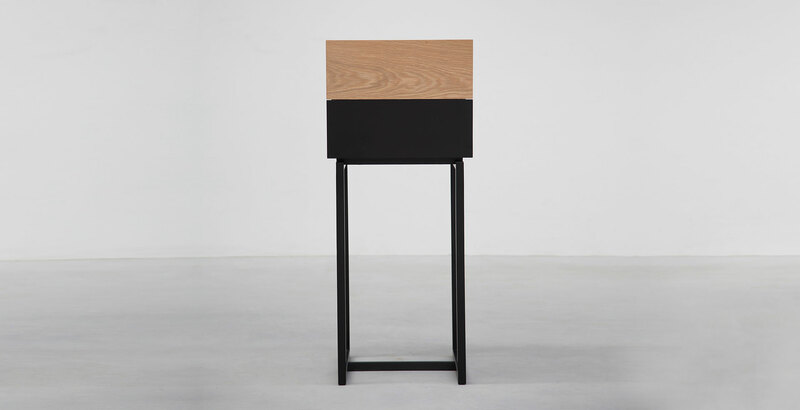 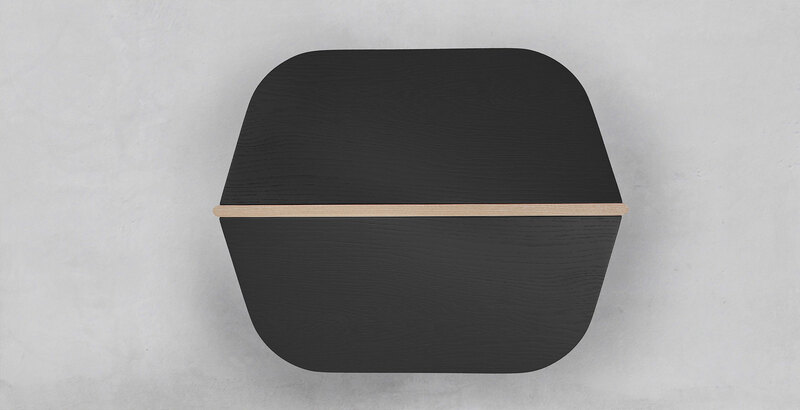 OLÁ is a slim lined, freestanding console, intended for the entrance hallway or rooms with limited space. 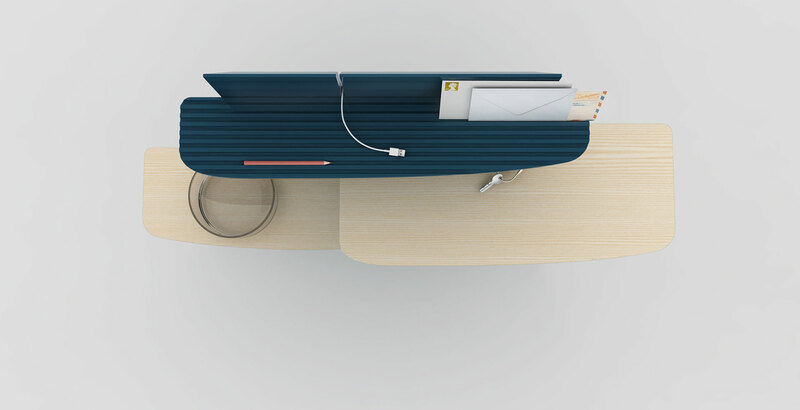 The three shifted layers offer stages to place keys, electric devices for charging, store the mail, or just be a home for your daily objects. 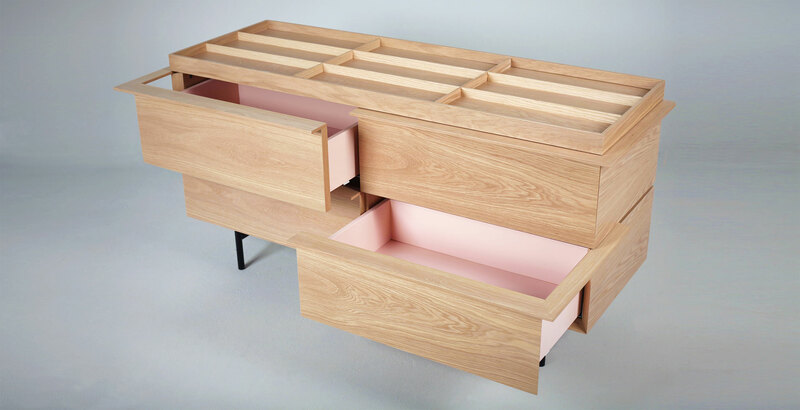 More over that, it works well as dressing table, mini bar or small desk for hotel rooms. 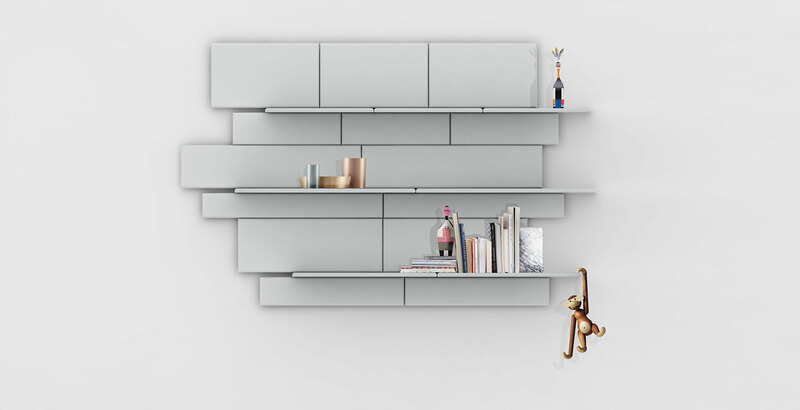 COLLAGE is a cubical sideboard with a grid of compartments to collect tiles and memorable objects. 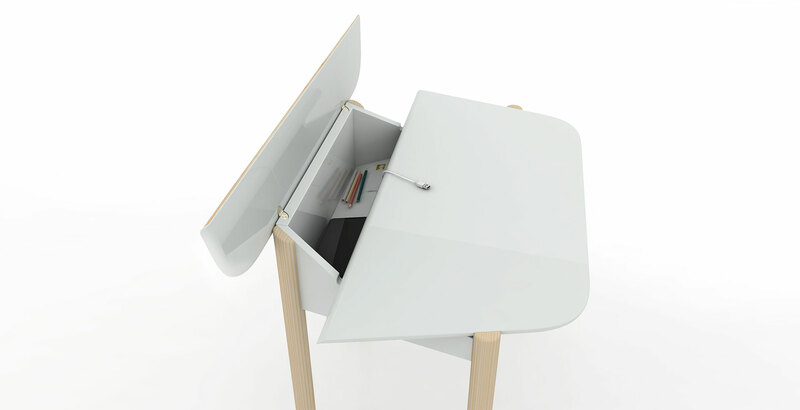 Available with two or four drawers, the revolving handle gives the impression of an intersected layer. 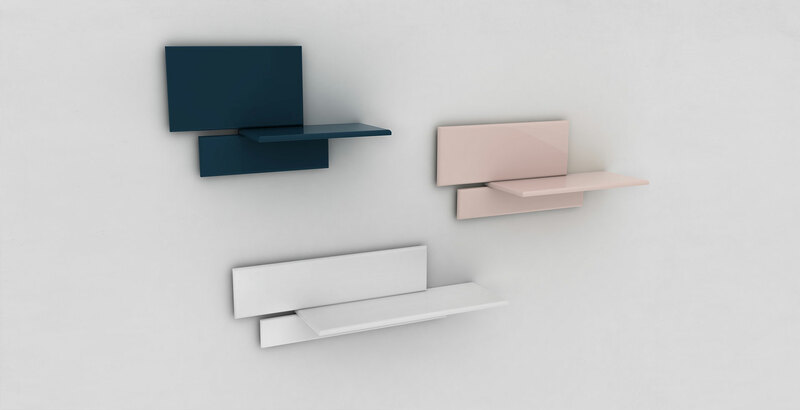 Furthermore the interior is refined with a selection of colours.The unique design is completed by delicate metal legs, giving a weightless appearance, to the monolithic shape. 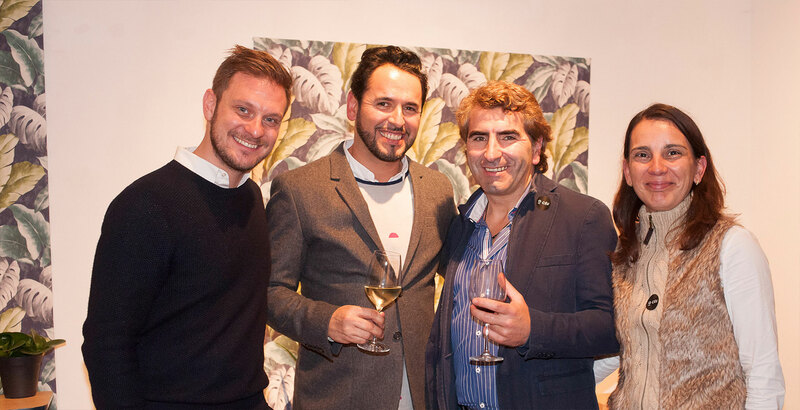 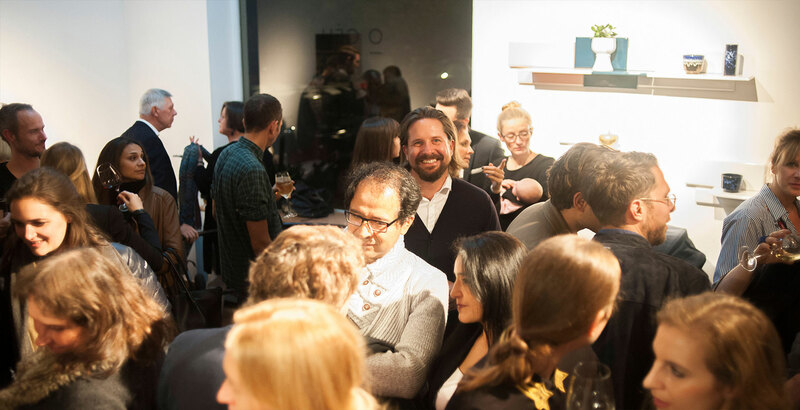 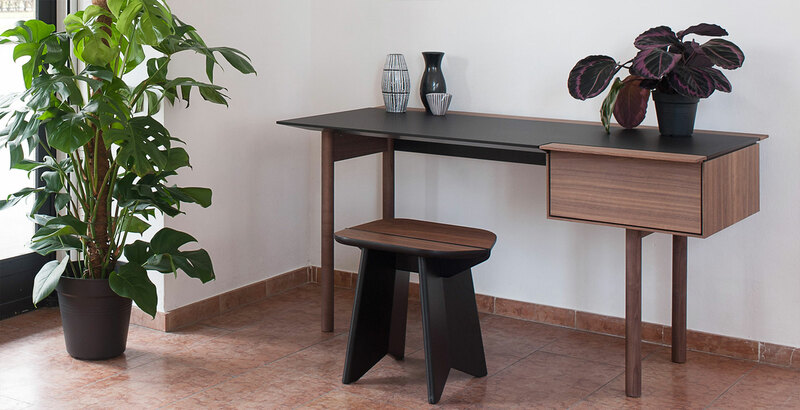 O CÉU is not just manufacturing furnitures, it is telling a personal story. 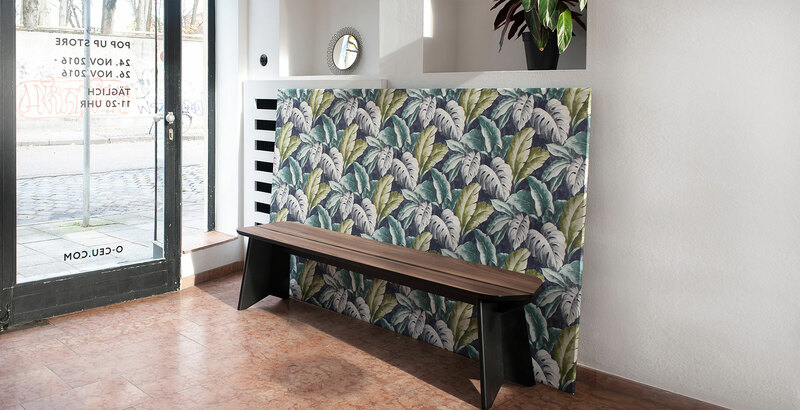 The CANTINA benches are characterised by its significant, horizontal bar that divides the angled seat and highlights the stability and comfort. 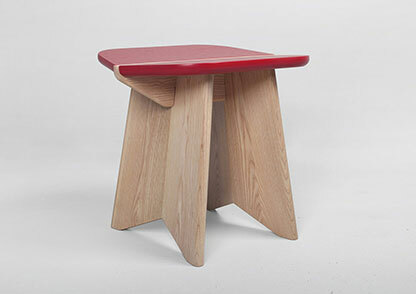 Giving attention to this rarely considered object is stimulated by the pleasure of unconventional get-togethers. 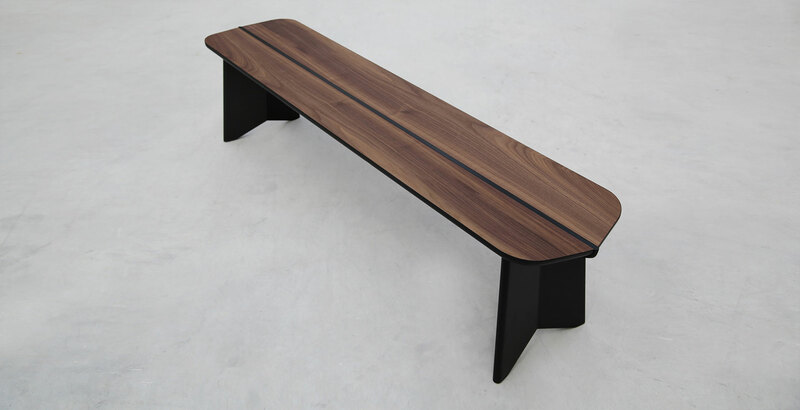 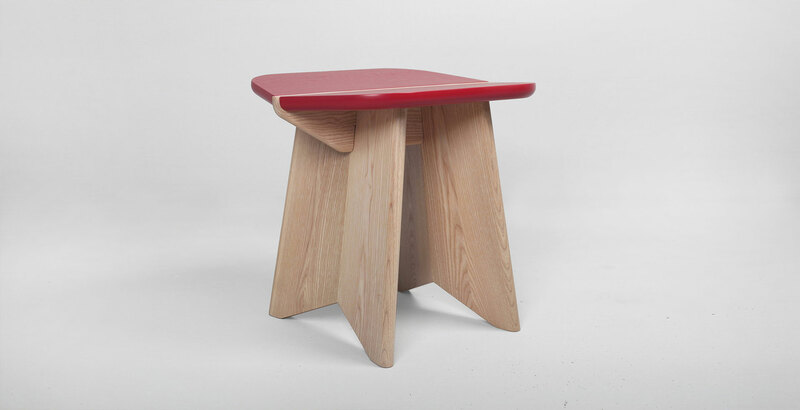 The bench comes in three sizes, in oak or walnut, combined with a range of colours. 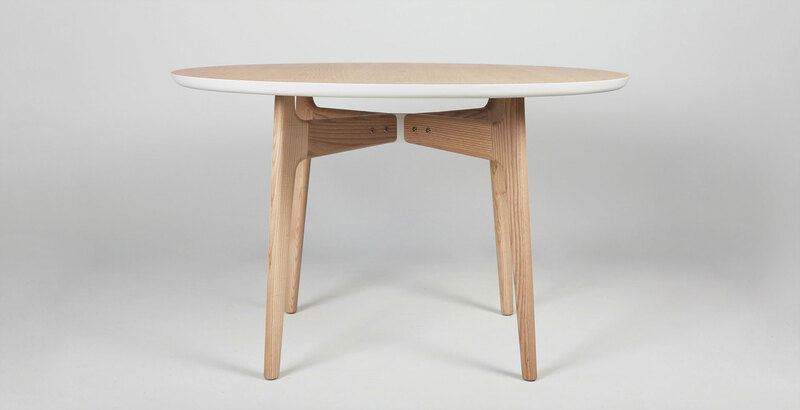 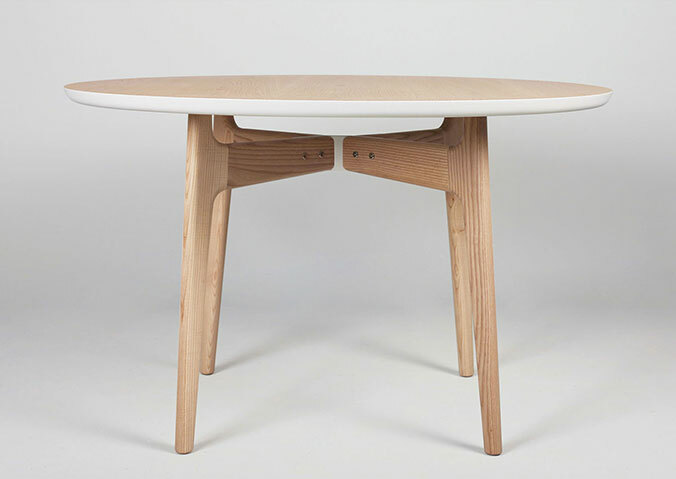 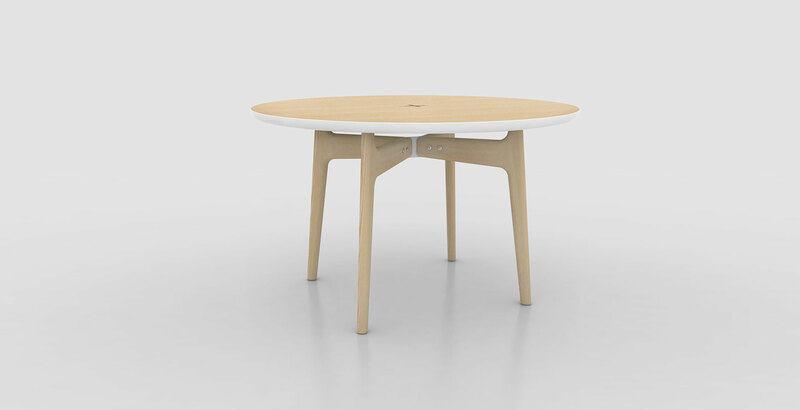 NORTE is a collection of dining tables, uniting a Nordic design language with Portuguese wood inlays. 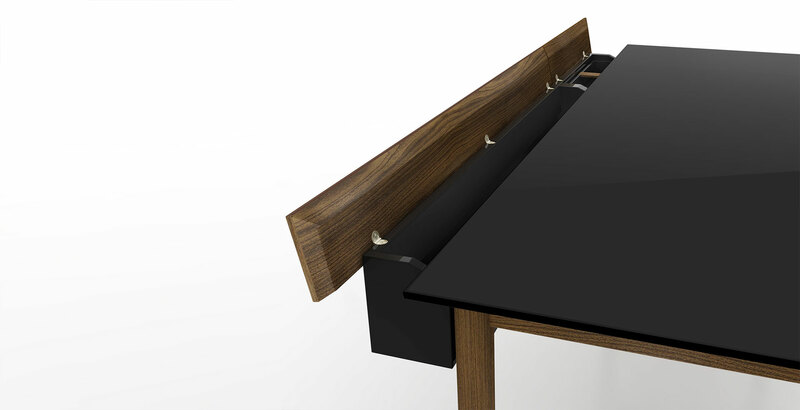 The supporting structure is characterised by sophisticated legs and a horizontal metal bar. 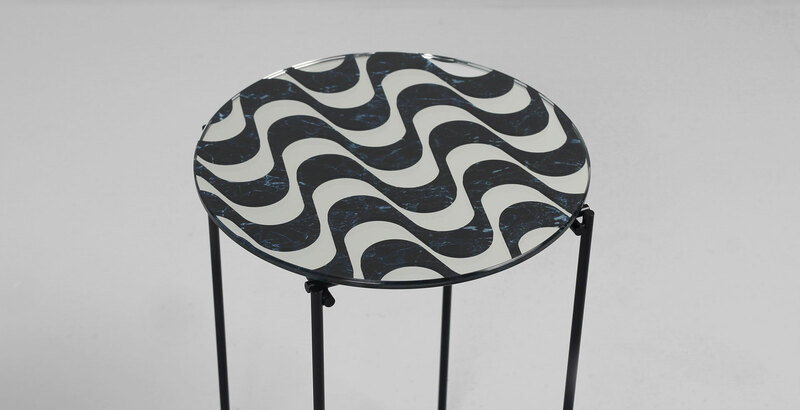 Available in two sizes, the tabletop comes in a circular or oval shaped design and a selection of lovely intarsia emblems placed in the centre. 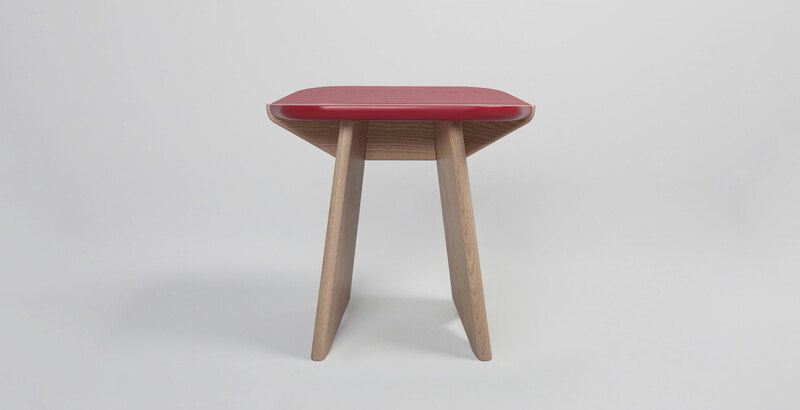 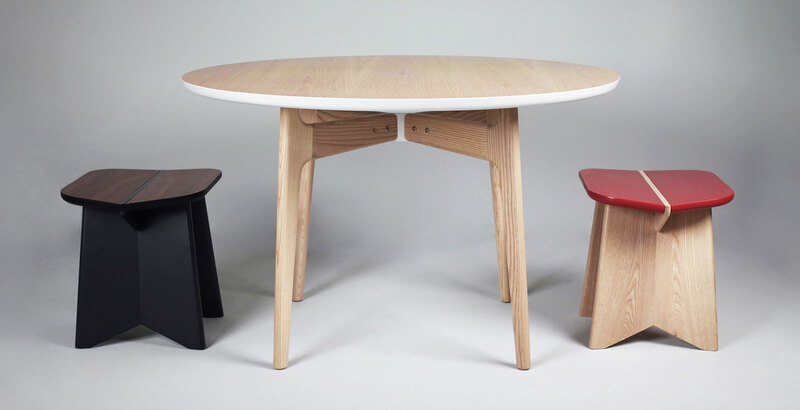 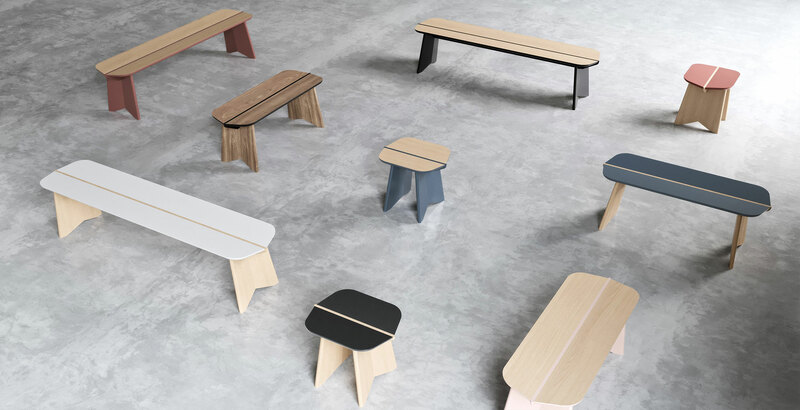 The tables has a veneered top and solid legs in oak or walnut, complemented with a variety of colour combinations. 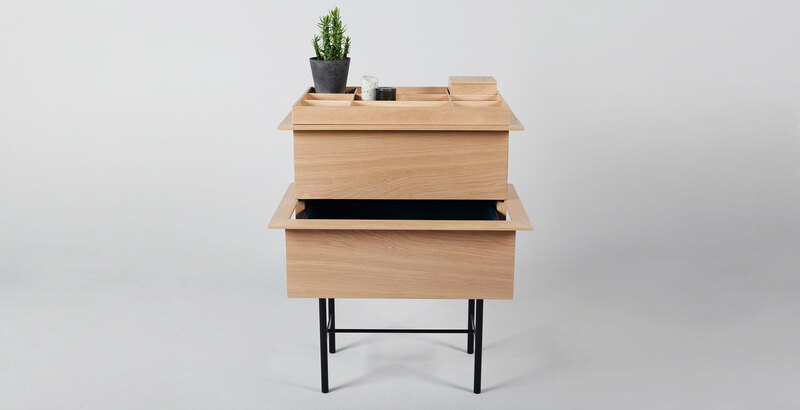 PICO deals with the need of having a small workspace at home without looking too office-like. 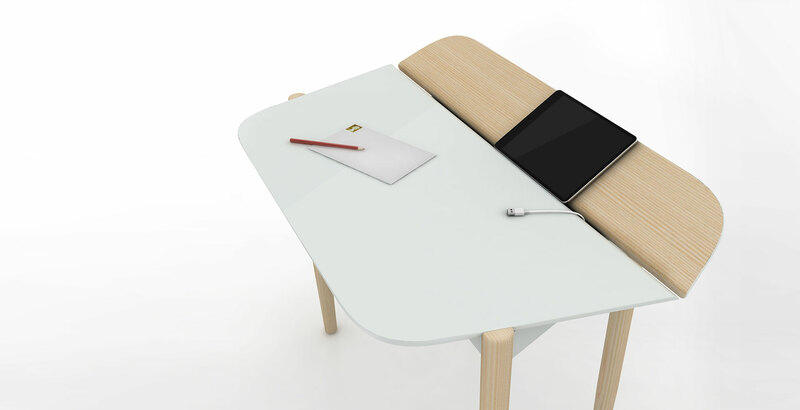 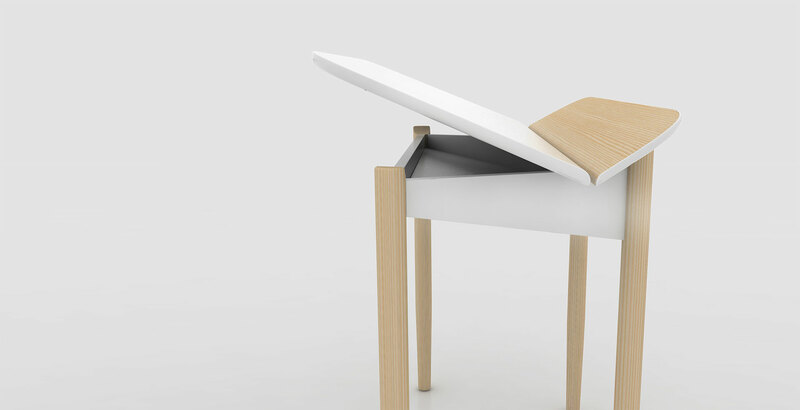 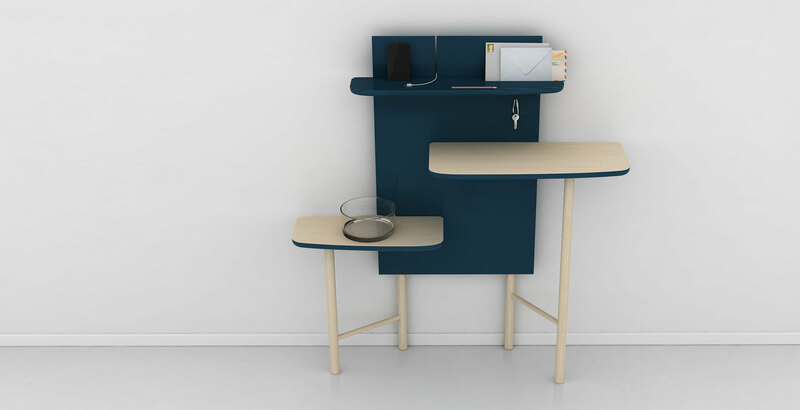 The little desk is equipped with storage space, to hide cables and writing utensils. 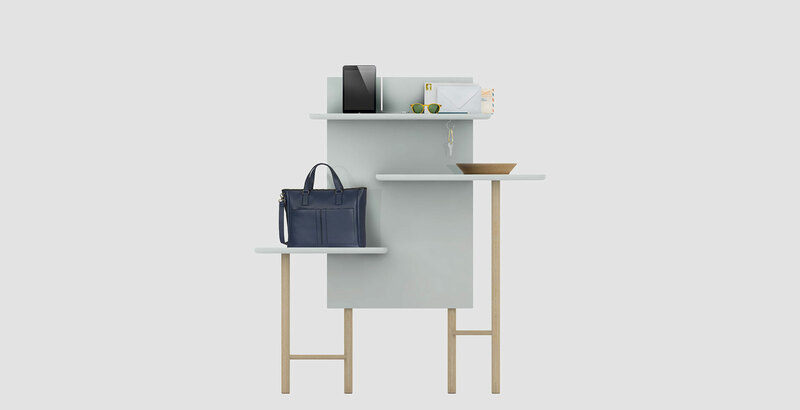 It‘s accessible by lifting the tabletop or the angled flap in the rear, which also acts to store and operate smart devices. 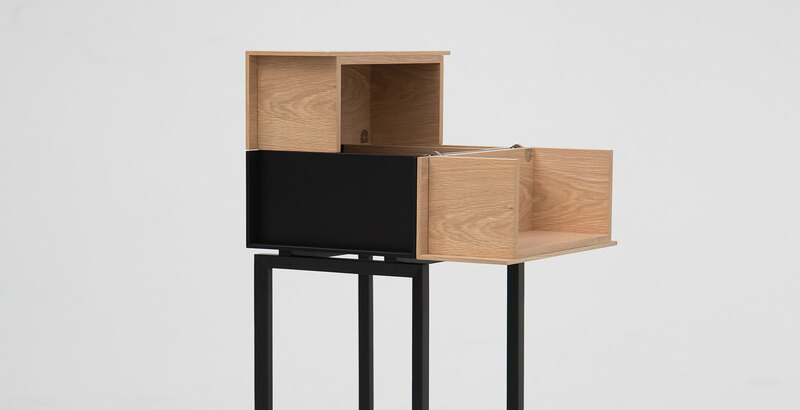 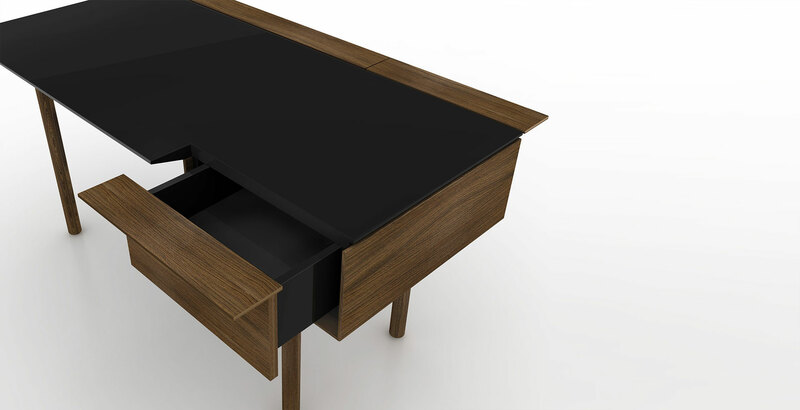 The desk comes in oak wood, combined with black or white colour finish. 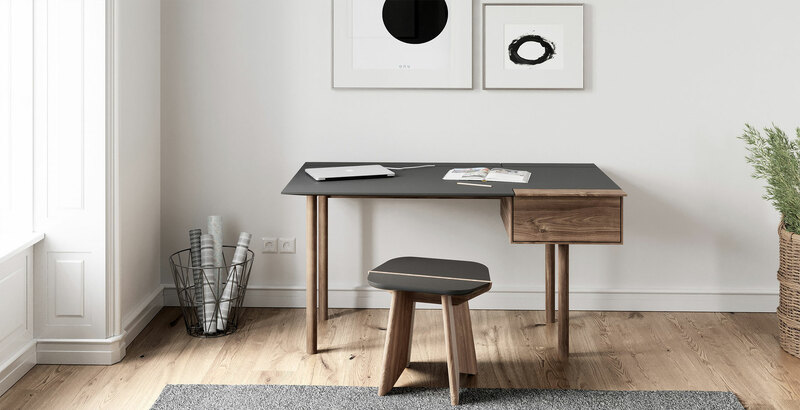 To guarantee a high durability and best writing comfort, the tabletop is additionally refined with a scratch resistant surface. 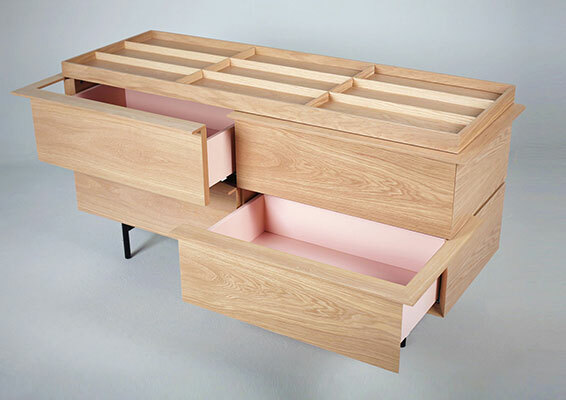 Change your way of living with furnitures full of joy. 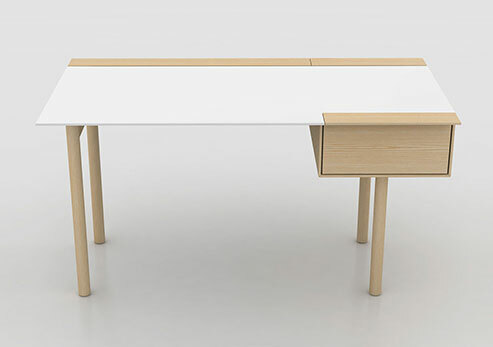 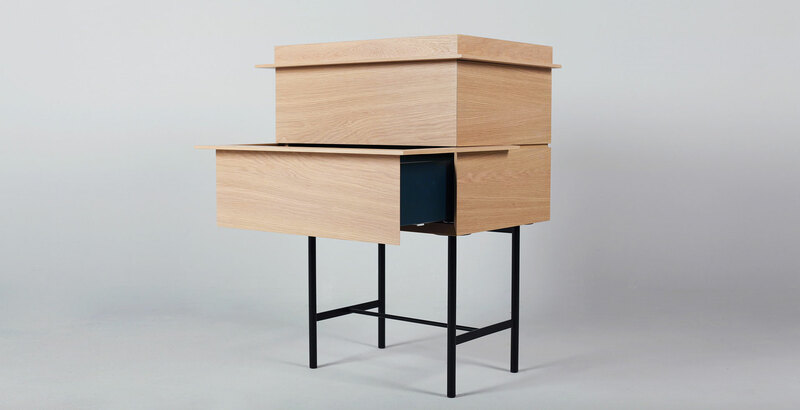 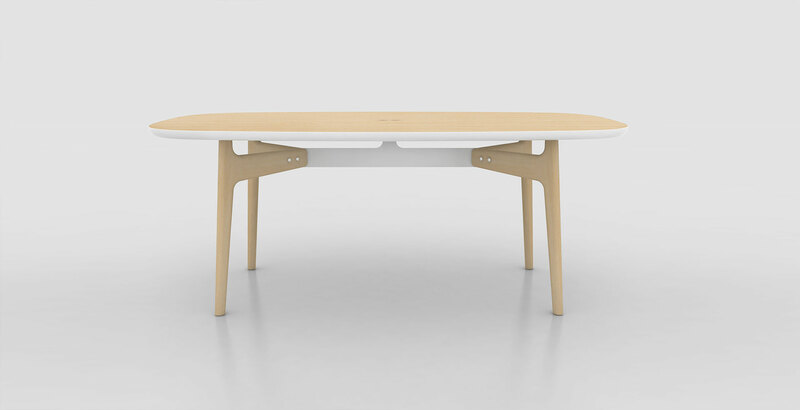 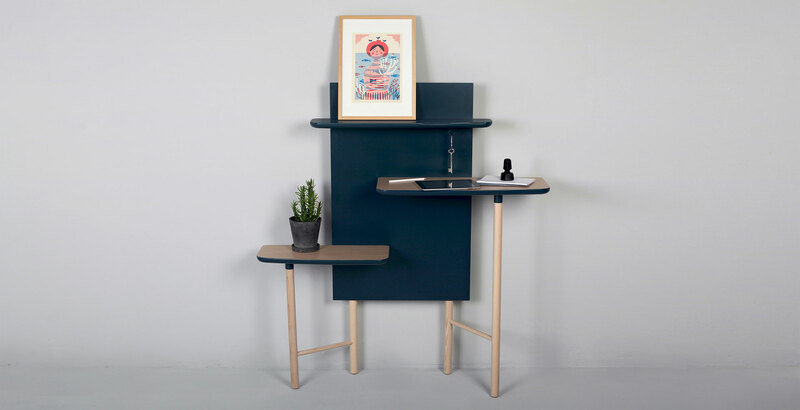 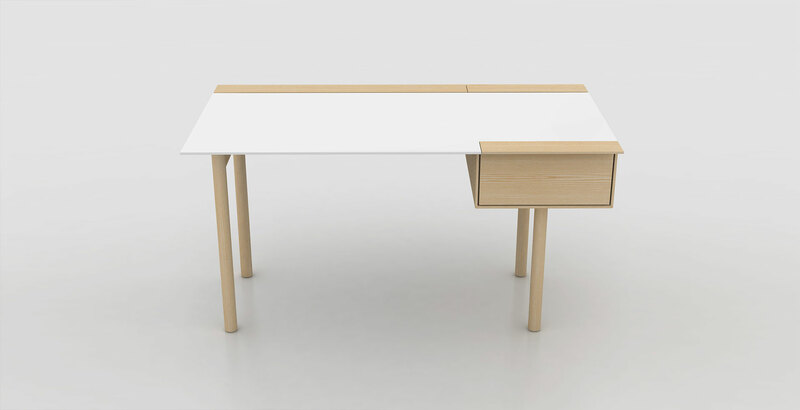 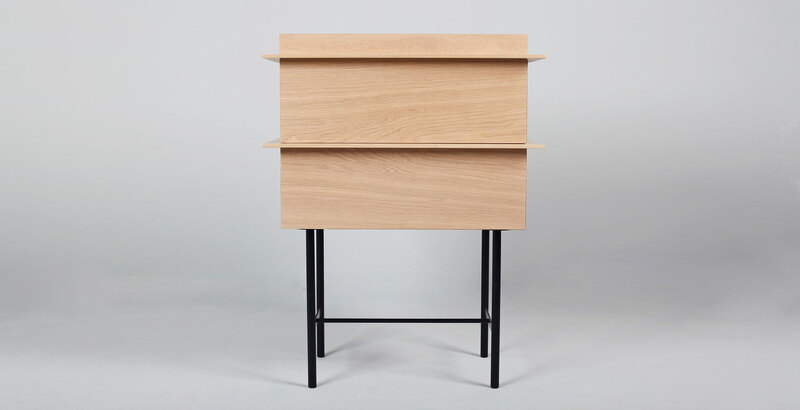 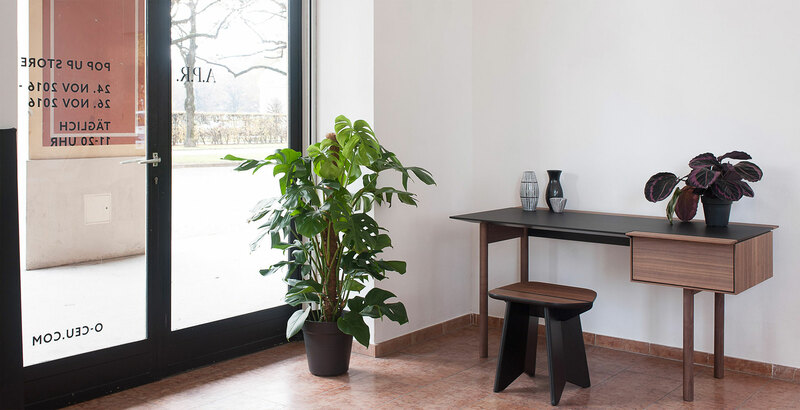 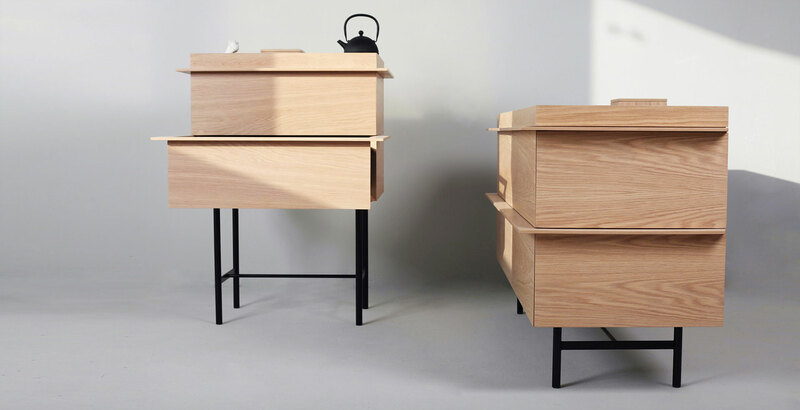 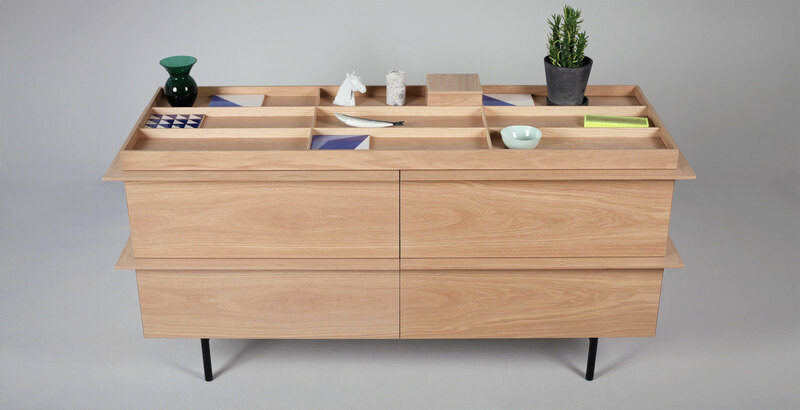 CHEFÉ fulfils the desire of a contemporary and representative desk. 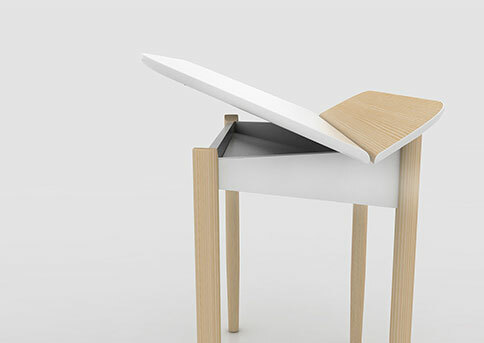 It’s equipped with a hanging drawer in the front and two integrated cases in the rear. 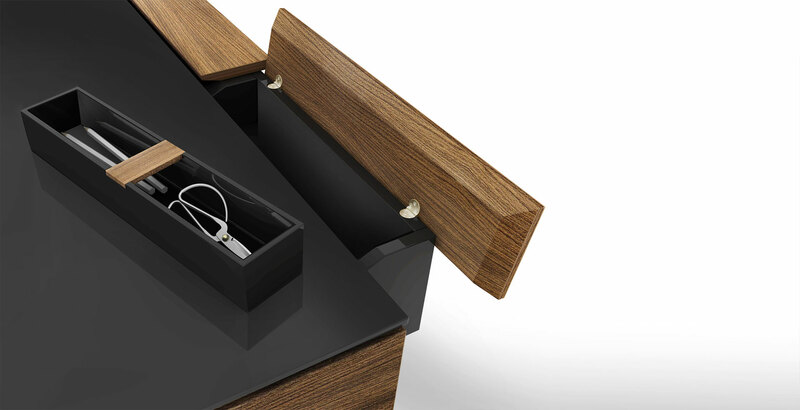 One long case to hide the cable management and a short one, with a removable box for writing utensils. 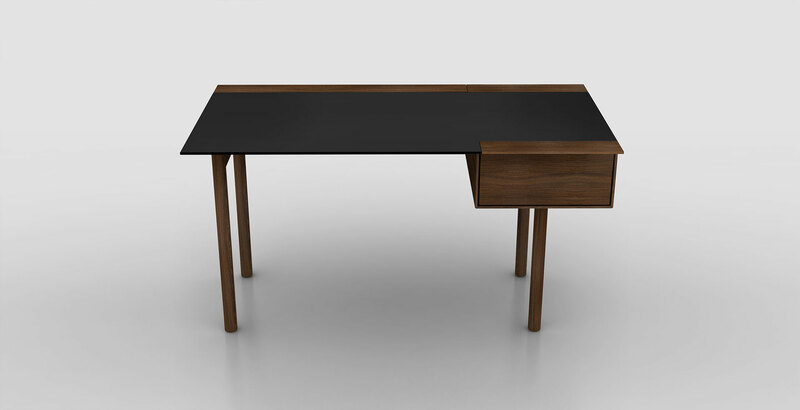 The desk comes in oak or walnut, combined with black or white colour finish. 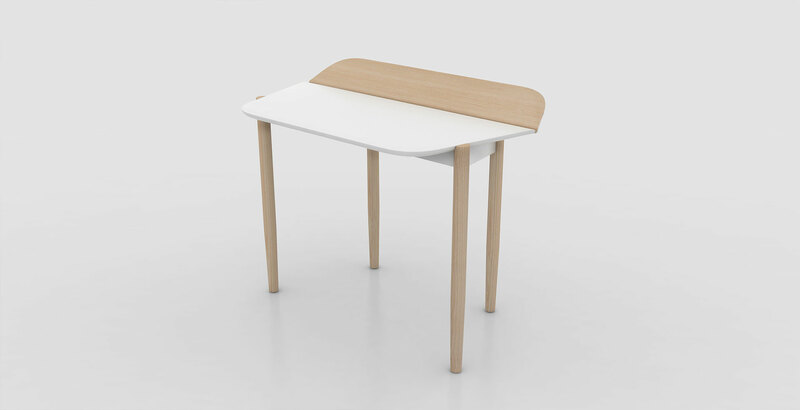 To guarantee a high durability and best writing comfort, the tabletop is additionally refined with a scratch resistant surface. 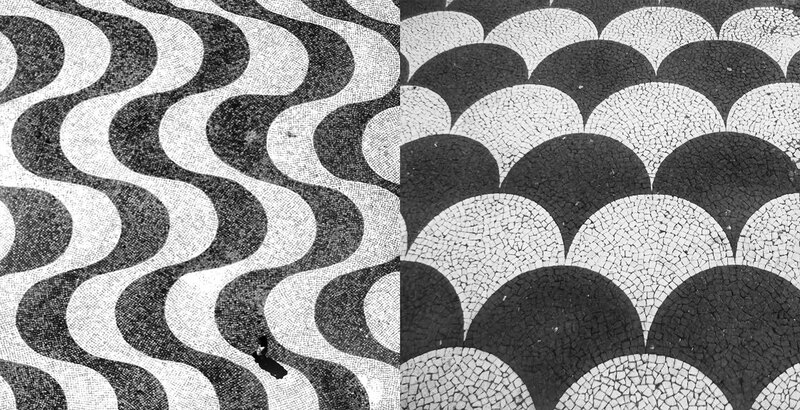 CALÇADA is the initial designation of traditional stone mosaics from Portugal. 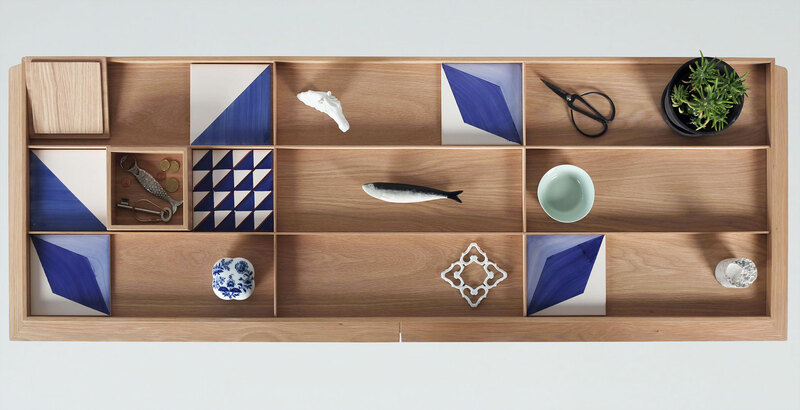 Skilfully arranged patterns create the illusion of floating waves and 3-dimensional perspectives. 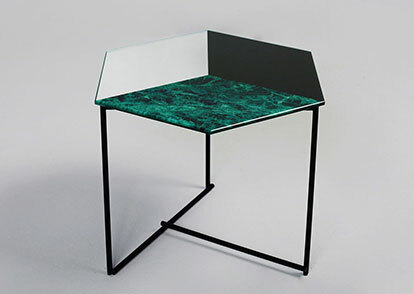 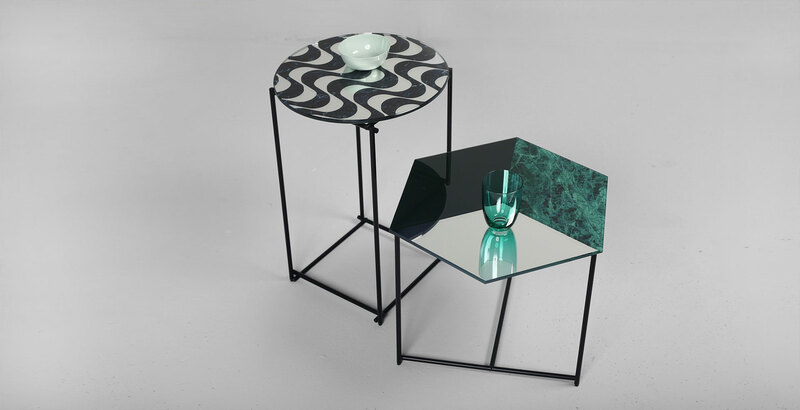 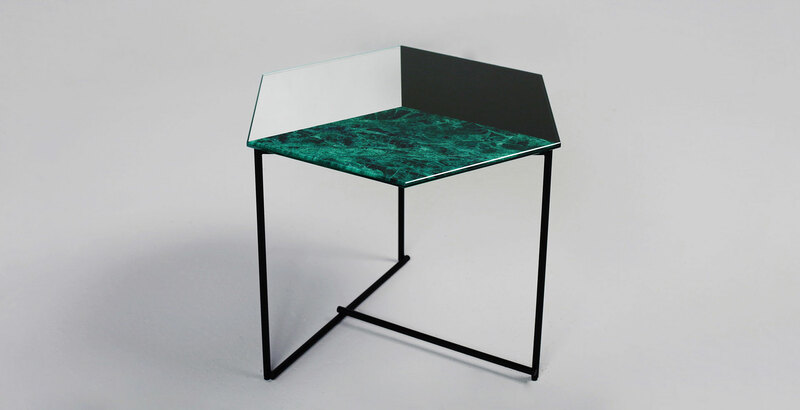 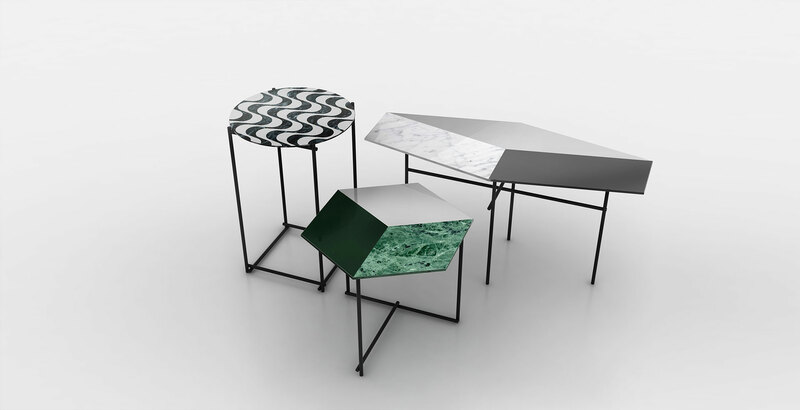 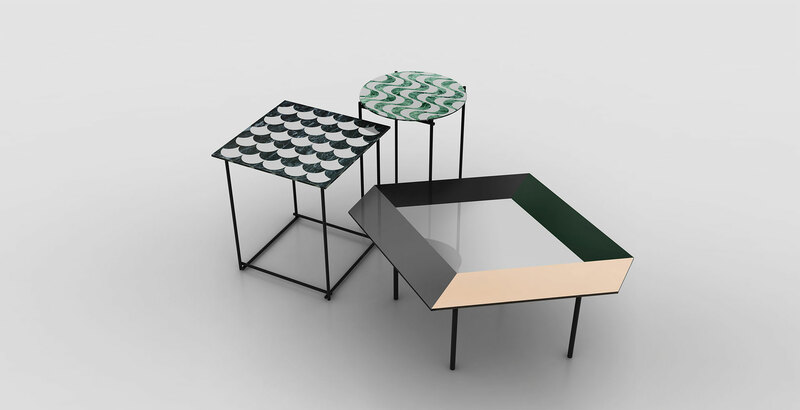 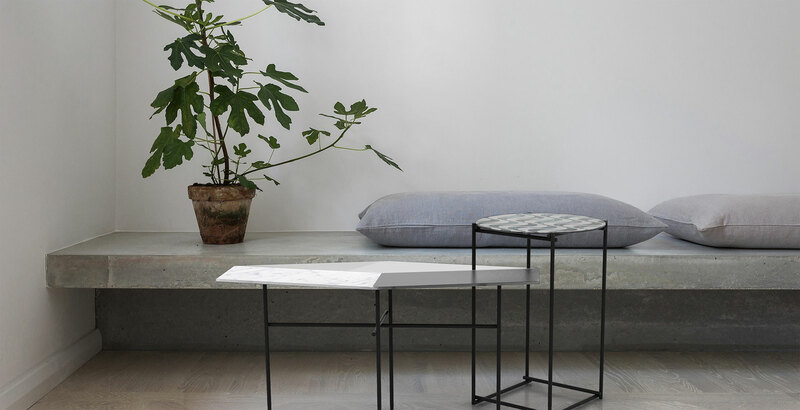 The collection of five side tables reflects this idea by using mirrored glass with printed stone patterns. 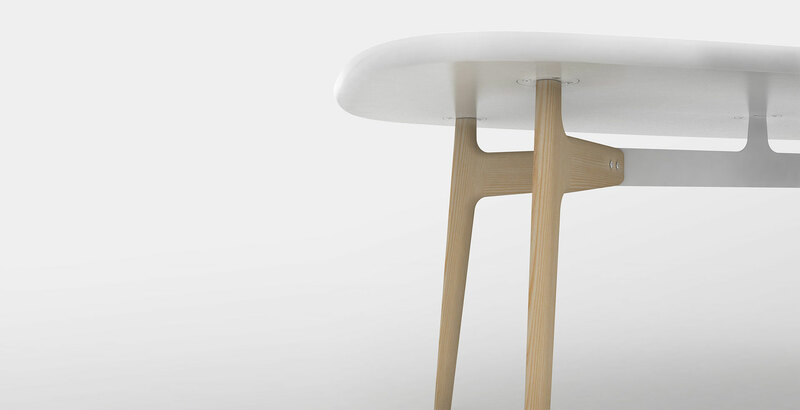 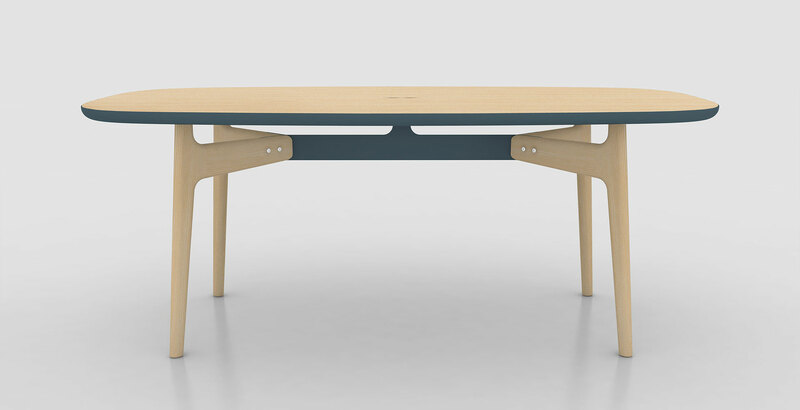 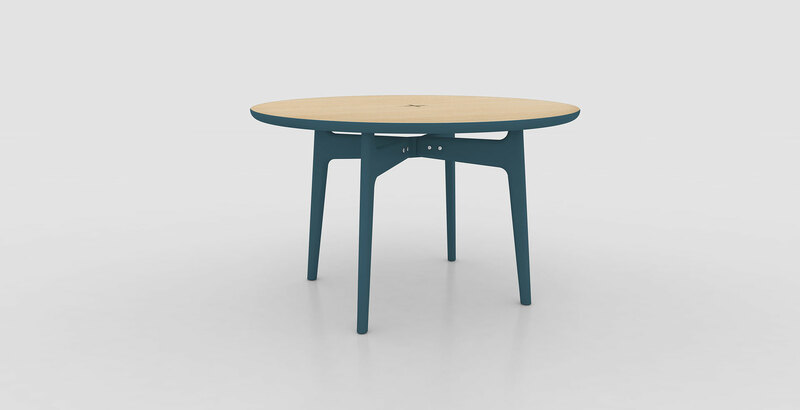 Supported by a filigree framework, the tabletop will be available in coloured wood veneers also. 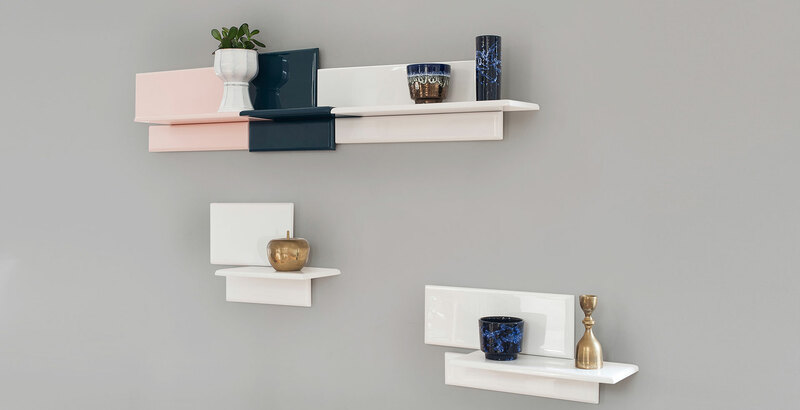 AZULEJOS is a collection of wall-mounted shelves inspired by the irregular grid of brick tile walls. 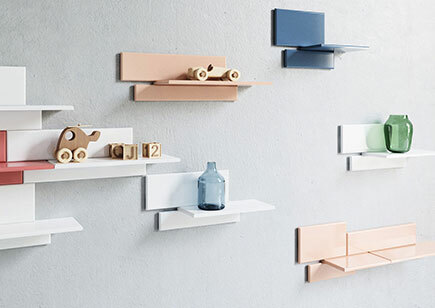 The shelves work well as single eye catcher for small objects, but also as an individually stacked installation to cover an entire wall. 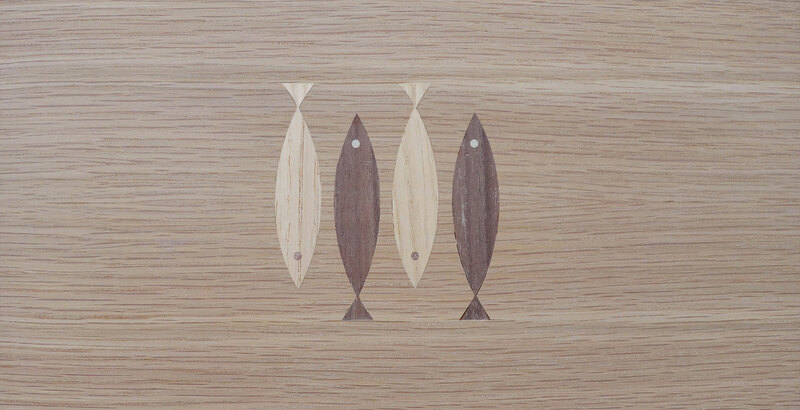 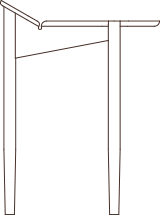 The wooden boards are available in three sizes and a range of different colours. 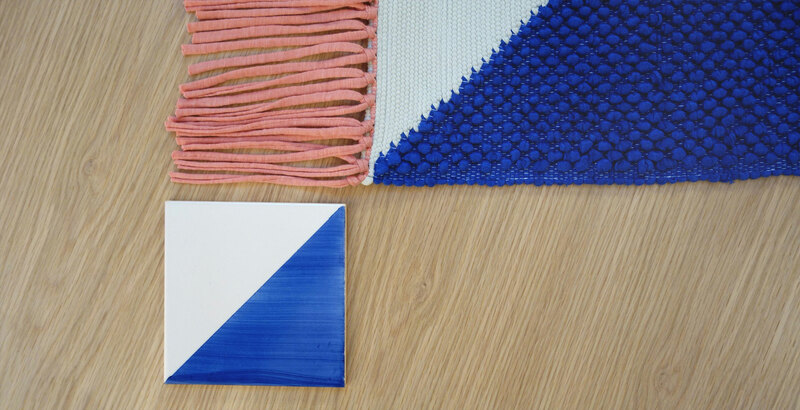 To give the impression of ceramic tiles each piece is refined with a high-gloss finish. 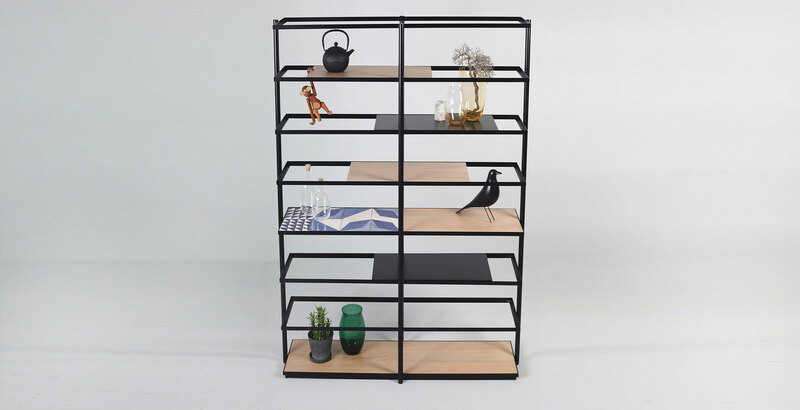 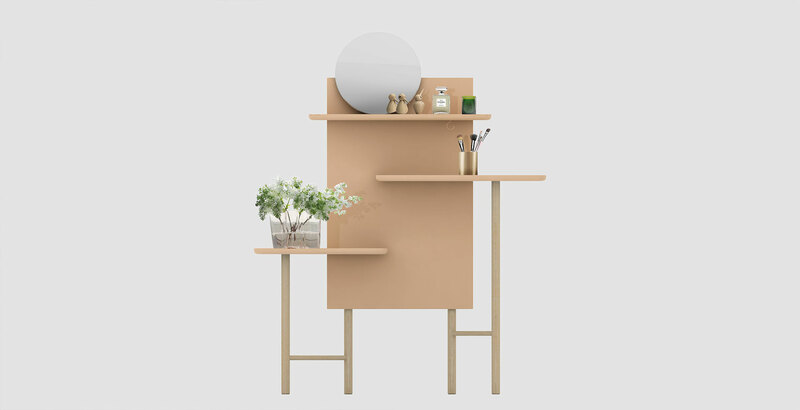 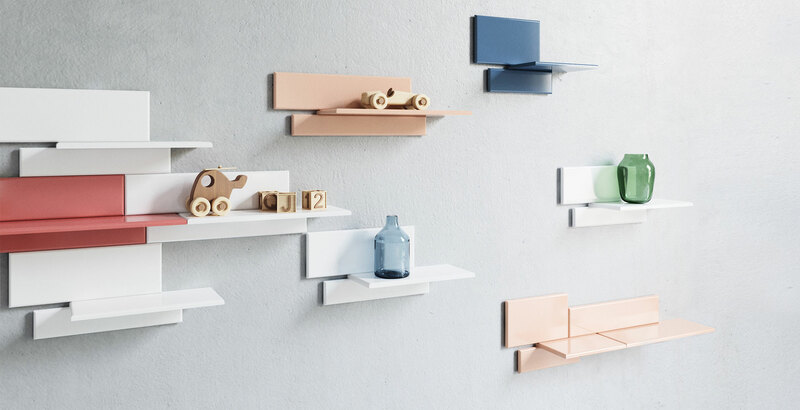 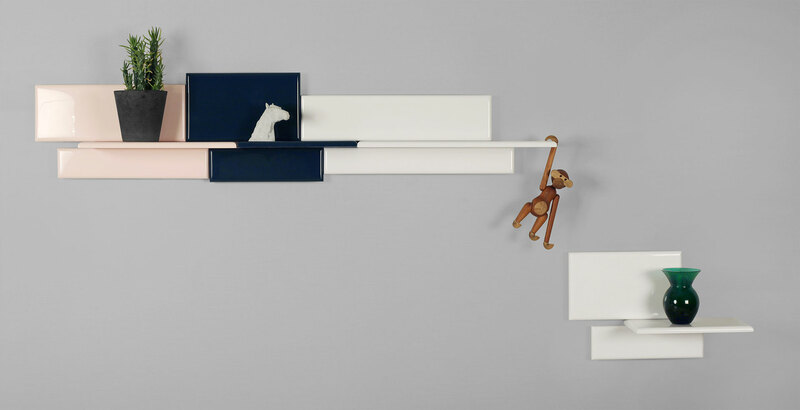 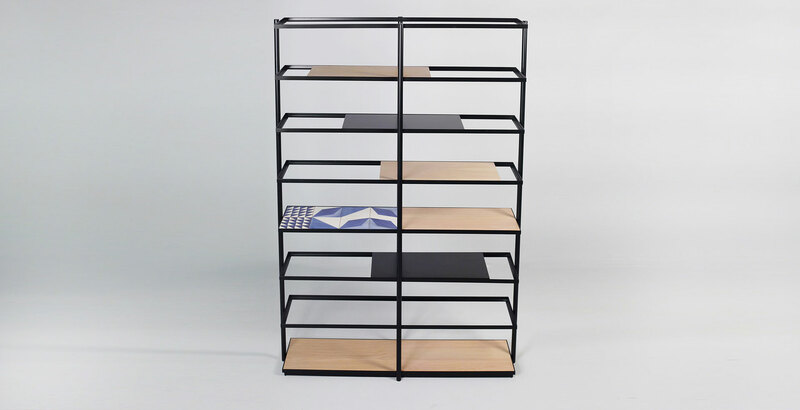 LAYER reinvents the idea of a simple shelf by using modular boards, covered with Portuguese tiles or coloured wood. 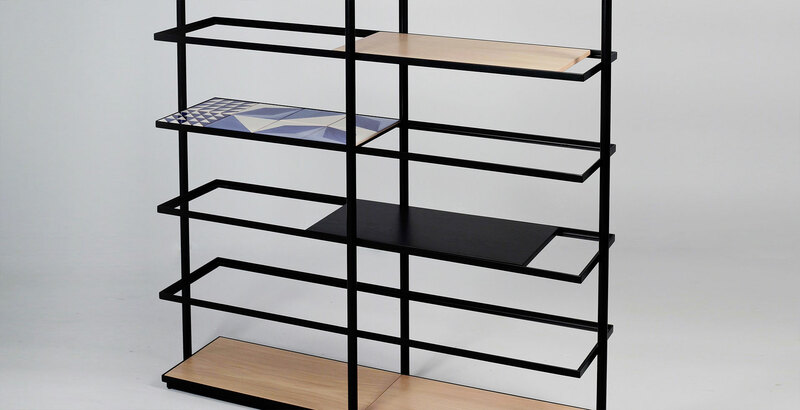 The shifted arrangement of layers creates a floating and weightless appearance. 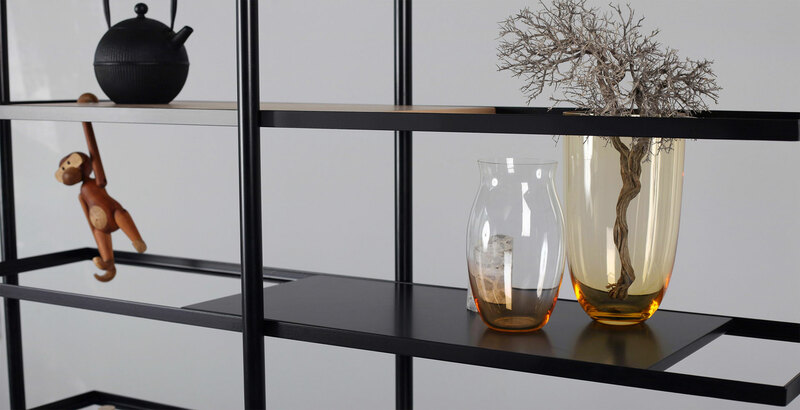 The high version offers the additional benefit of a room divider, whereas the lower one works well as an elegant sideboard. 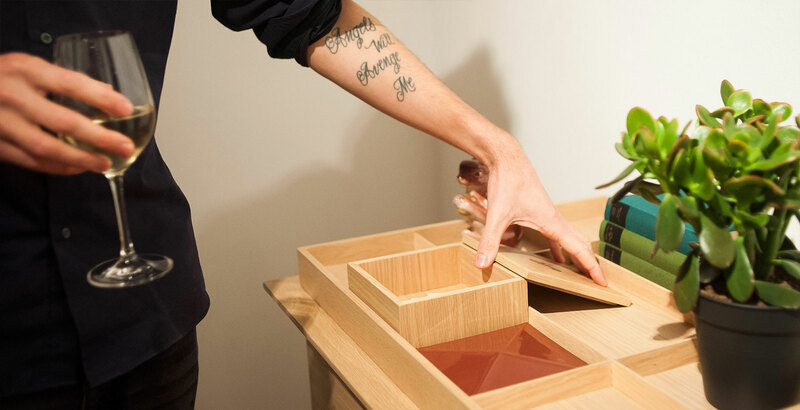 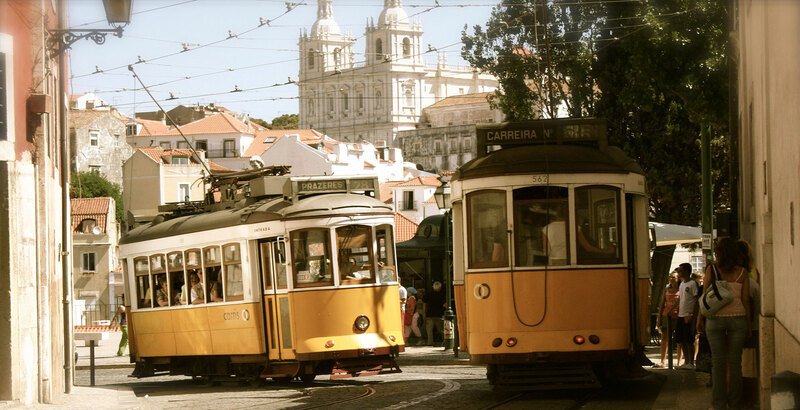 Come closer to see the passion of traditional craftsmanship from Portugal. 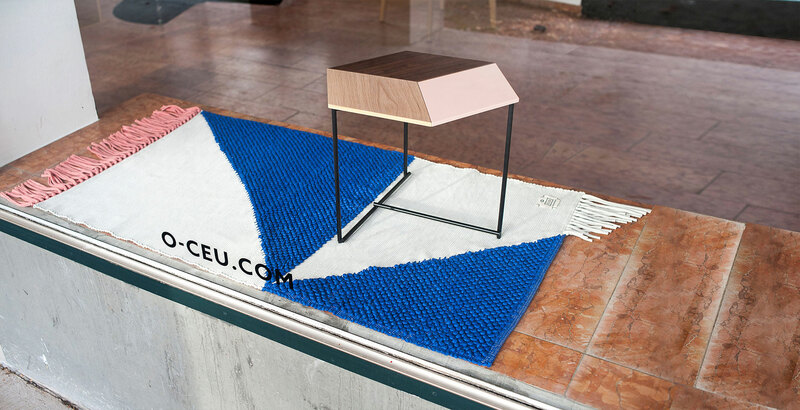 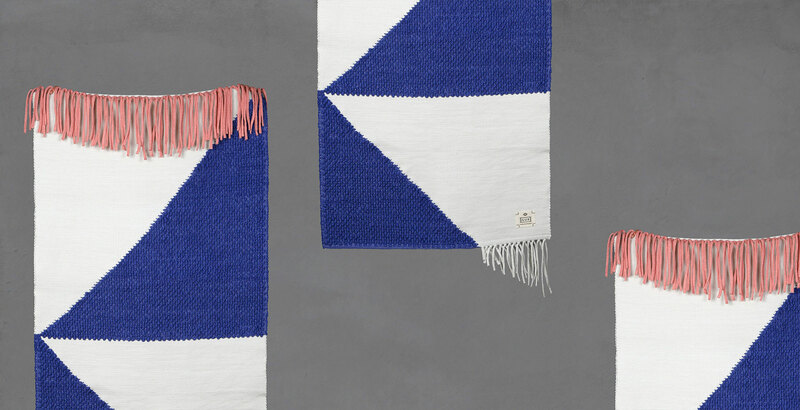 O CÉU x GUR Working in partnership with the artisan weaver of rugs, Célia Esteves - owner of the Portuguese brand GUR - invites designer Matthias Lehner to develop a new rug for his brand O CÉU. 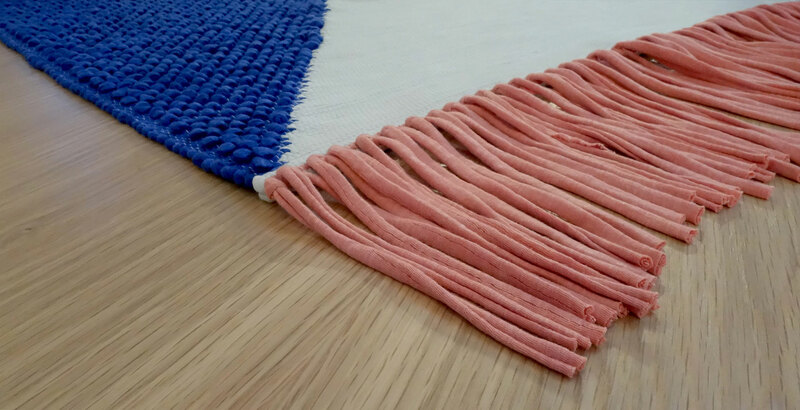 The piece is made with a very specific technique using the same materials with the authenticity of a traditional kitchen rug but with a modern twist. 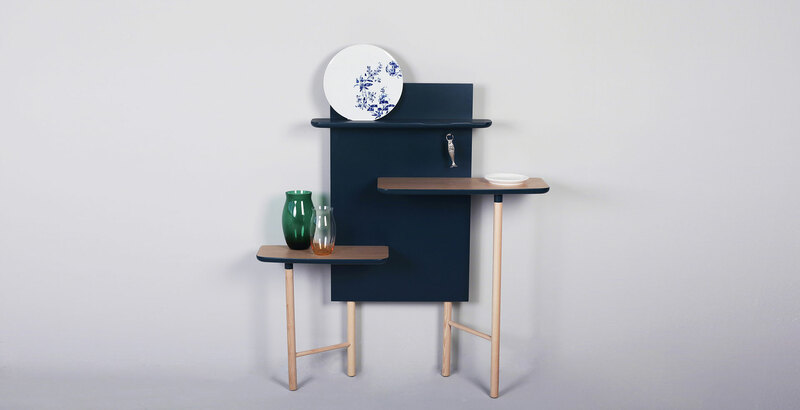 The design is inspired by the traditional AZULEJOS - ceramic tiles of Portugal. 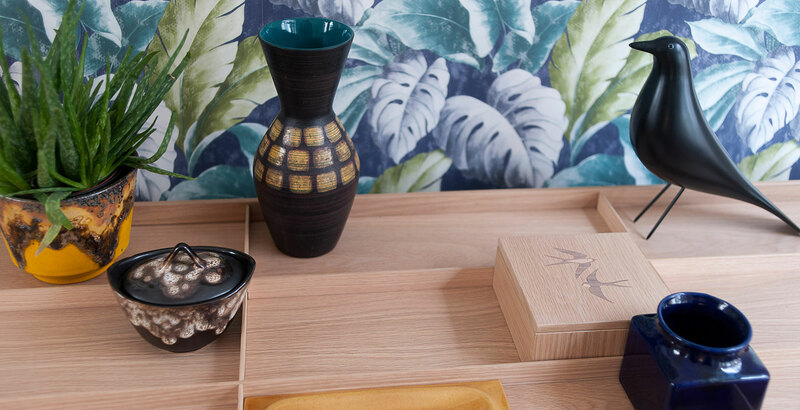 The woven motive displays the classic, hand-painted tile that can also be found at the O CÉU collection. 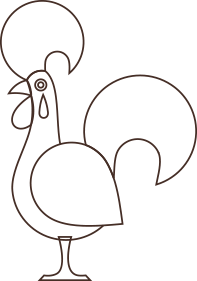 It's long fringes, continuing the diagonal graphic on the one side and highlighting with a fresh colour tone on the other side. 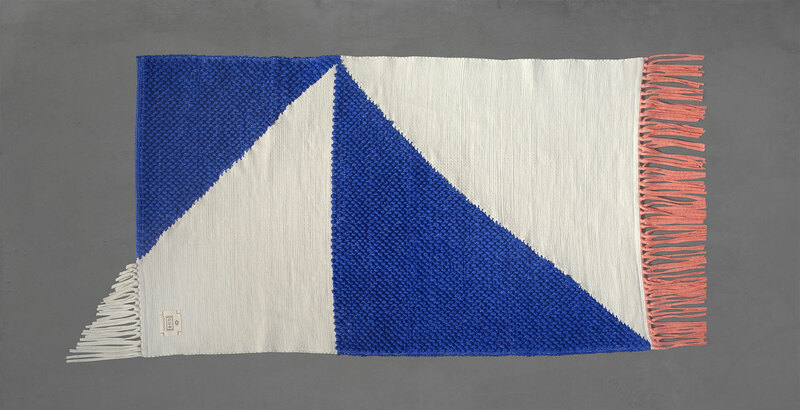 All rugs by GUR are sustainably handmade, held in a traditional handloom, with recycled canvas, embossed technique or over layers of colours, finishing with basic sewing. 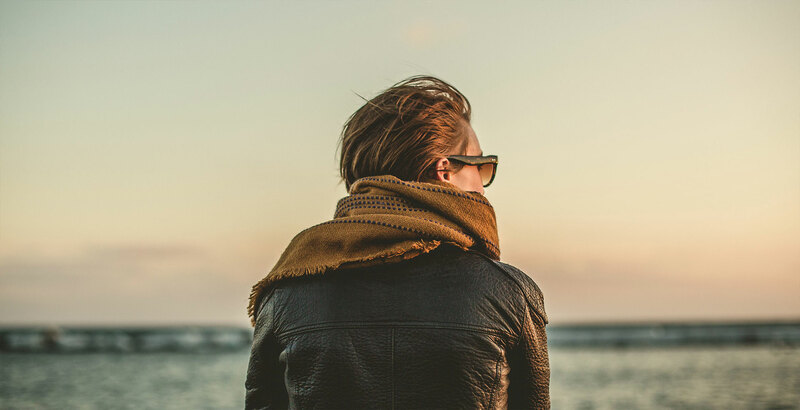 Trotz sorgfältiger inhaltlicher Kontrolle übernehmen wir keine Haftung für die Inhalte externer Links. 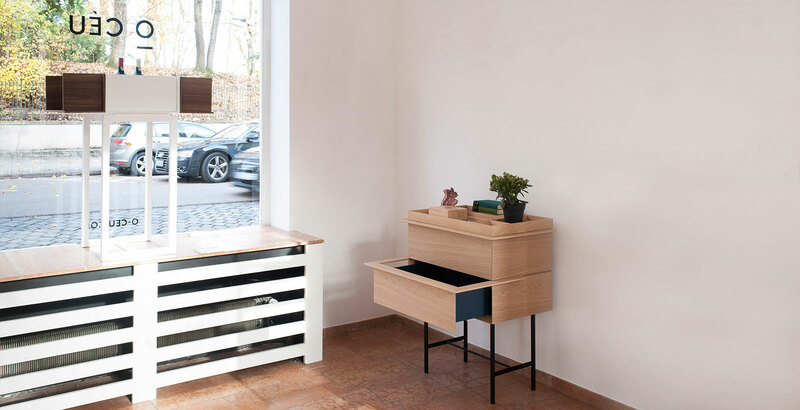 Für den Inhalt der verlinkten Seiten sind ausschließlich deren Betreiber verantwortlich. 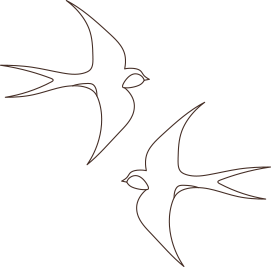 Technische Änderungen vorbehalten. 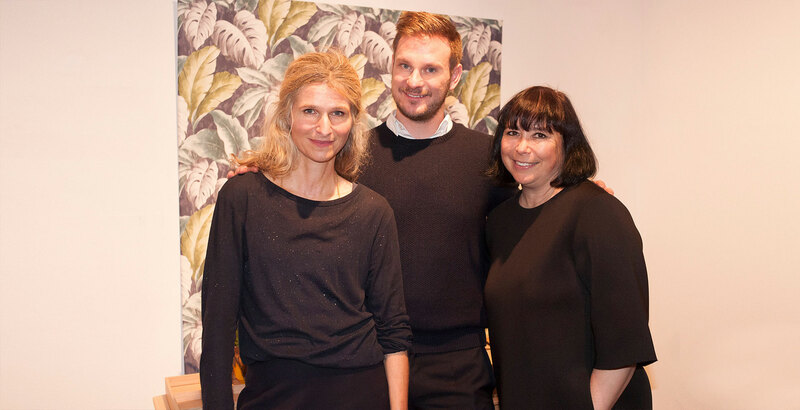 Online-Streitbeilegung gemäß Art. 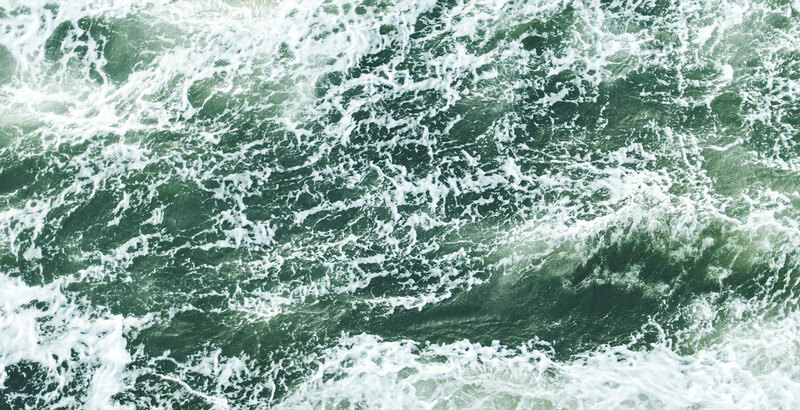 14 Abs. 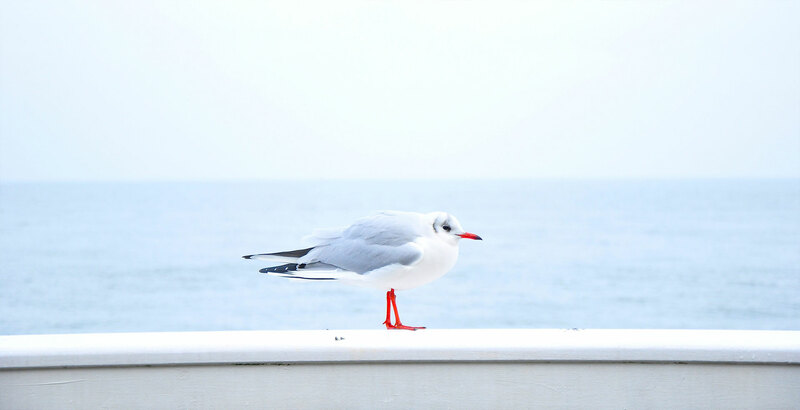 1 ODR-VO: Die Europäische Kommission stellt eine Plattform zur Online-Streitbeilegung (OS) bereit, die Sie unter http://ec.europa.eu/consumers/odr/ finden.